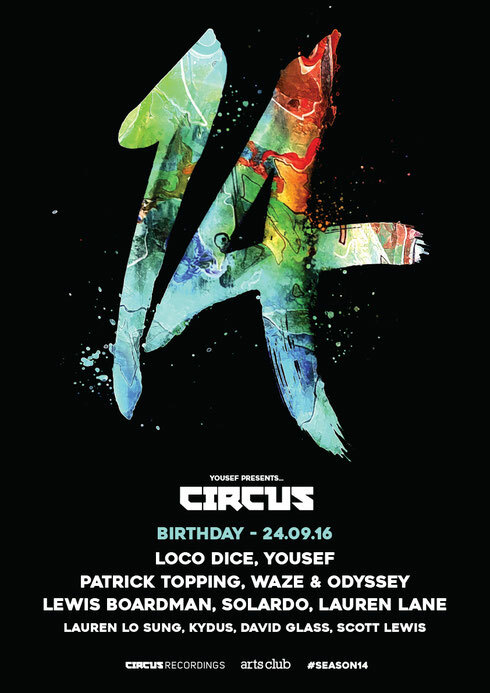 Circus recently confirmed their line-up for their 14th birthday celebrations, which take place at the Arts Club in Liverpool on Saturday 24 September when Yousef and the Circus family take the opportunity to once again show why they currently hold the DJ Mag award for ‘club event of the year’. Bringing with them a host of DJs and his own band of residents, heading up the line-up for this year’s celebrations is Loco Dice, founder of Desolat and resident at nights and events such as HYTE Amnesia and the ,Time Warp Festival across the globe. Following on from a top 2015, Patrick Topping is also on the bill as he continues to be championed by artists such as Pete Tong, Jamie Jones and Green Velvet. 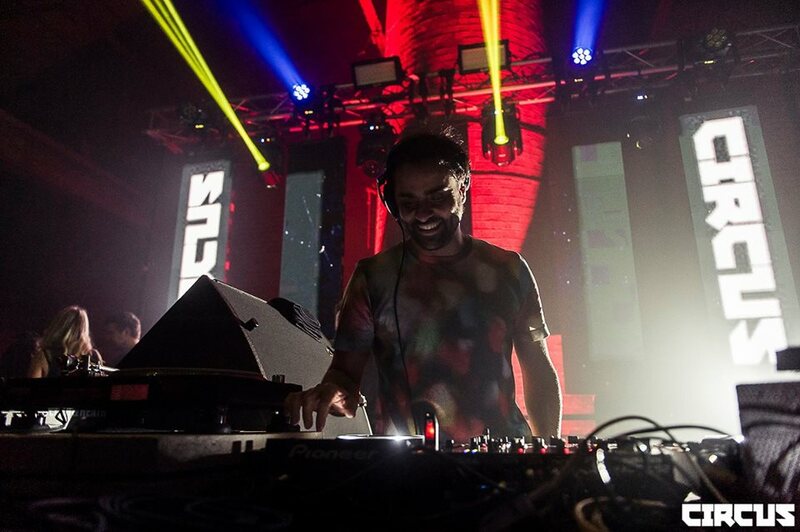 With releases on Hot Creations, Suara, Adam Beyer’s Truesoul and Yousef’s Circus Recordings, the Newcastle native has continued to prove his worth and popularity amongst his peers with constant touring and a residency at DC-10 for Paradise. Also joining the line up is Waze & Odyssey aka Serge and Firas. Label owners in their own right, W&O Street Tracks is thriving with releases providing a platform for their colleagues to grow from. Their own productions have seen them feature on VIVa Music, Get Physical, Wolf Music, Dirt Crew and Throne of Blood. Solardo come to Circus carving their own sound in the house and techno market. 2015 saw their breakthrough single ‘New Jam’ released on Steve Lawler’s VIVa Music, which apparently became an Ibiza anthem over last summer. More recent releases come on Kerri Chandler’s Madtech Records and Leftwing & Kody’s Lost Records. Lauren Lane is an LA based artist who perfected her skills on the New York house scene. Following a good 2015, Lauren played some of the world’s best clubs such as DC-10, Warung, Coachella, BMP Festival, Decibal and the Rio Music Conference. Liverpudlian Lauren Lo Sung also joins the line up in her hometown. Holding down residencies across the country in the likes of Birmingham’s TRMNL and her own LOLife club night which was launched when she was 18. Lauren has seen her rise to success charted by her invitation to play at Carl Cox’s – The Final Chapter at Space, Ibiza this summer alongside Circus boss Yousef. Lauren’s had releases on Hector’s Vatos Locos and US label Draft. Rounding up Circus and completing the line up are the residents. Kydus joins the line up to keep the form of young talent and has formed a key part of the Circus label, making a name for himself at these events. Long standing Circus resident Lewis Boardman is also another name who finds himself receiving international recognition from big name DJs, with recent releases on Moon Harbour, Loco Dice’s Desolat, Cadenza and Circus. David Glass and Scott Lewis are two more names synonymous with the brand of Circus and complete the line-up. Excellent goods from you, man. I have understand your stuff previous to and you're just too fantastic. I really like what you have acquired here, certainly like what you are stating and the way in which you say it. You make it enjoyable and you still care for to keep it smart. I cant wait to read far more from you. This is actually a wonderful website.